sep17 Great buyer to deal with! Speedy replies Thank you! 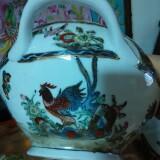 peranakan.corner Great buyer, decisive n sincere buyer. Pleasant transaction . Thank you. @snowwhite76 is on Carousell - Follow to stay updated! Family heirloom sale.. Vintage old Nonya kerosang set in Pearl.. These are replicated from old Penang Nonya Peranakan jewelley designs..
Costume Jewellery Queen Victorian medallion keronsang for kebaya or baju kurung. Vintage design Queen Victorian medallion keronsang will look awesome with baju kurong or kebaya..
Rare find!! Peranakan Nonya Flora Motif design Diamonds ring set in brillian cut diamonds 12 pieces 0.34 ct in 18k yellow gold. This design is a reproduction of an old vintage piece. Really well made and good for any functions!! .photo says it alll.. 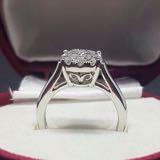 Handmade and set by Hong Kong jewellery master ..selling the Keronsang and the ring.. PM for details.. Custom made keronsang set in colour stones as seen in the photo.. handmade and set by Hong Kong skillful jewellery master.. This design is a reproduction of an old vintage piece. Really well made and good for casual daytime functions!! Looks splendid with Kebaya Nyonya ...photo says it alll..
Peranakan Nyonya Nonya gold plated vintage design kerosang keronsang..
Vintage design Peranakan gold plated kerosang..
Peranakan Nyonya Nonya gold plated Keronsang Kerosang..
Old vintage design gold plated Nonya kerosang..
Hand drawn batik on good quality cotton cloth kain lepas..rare motif 2.6m length and 1.1m height bought from Indonesia..
Hand drawn batik on good quality cotton from Indonesia..kain lepas 2.6m Long and 1.1m height. Rare find! Peranakan Nonya costume jewellery gold plated faux diamond kerosang.. This is one of the reproduction of old pieces kerosang. Good quality gold plating set with faux diamond..